Priyanka Chopra couldn’t have possibly picked a classier destination for her fairytale wedding. Being a travel writer, the first thing I did, once the wedding destination became public news, was to add it to my bucket list! Right on top. 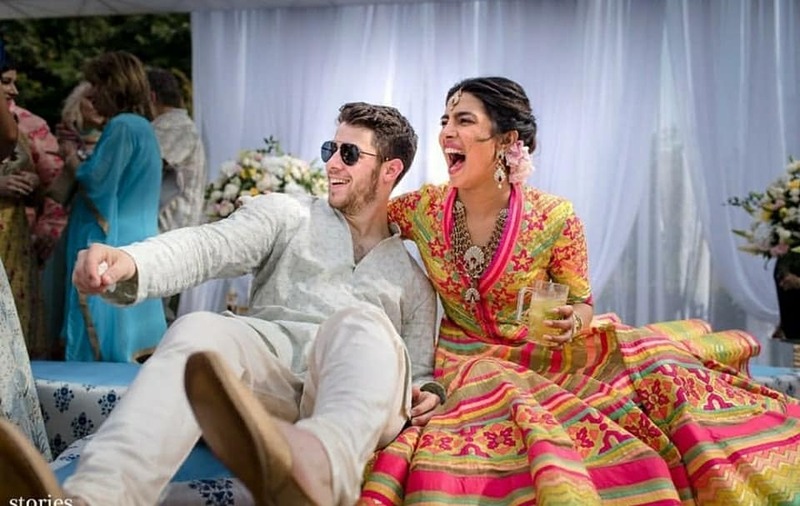 Here in this post, I am putting together everything you want to know about Priyanka’s wedding destination – Umaid Bhawan Palace. Set amidst 26 acres of lush gardens, the stunning Umaid Bhawan Palace is the sixth-largest private residence in the world. This palace is the home of the erstwhile royal family of Jodhpur and Maharani BadanKanwar has actually lived here. The palace boasts of 347 rooms and several courtyards. It is perched atop Chittar Hill, the highest point in Jodhpur offering spectacular views of the historic blue city, Jodhpur’s vast undulating sand dunes and the imposing Mehrangarh Fort. It took an impressive 14 years to build this magnificent palace. 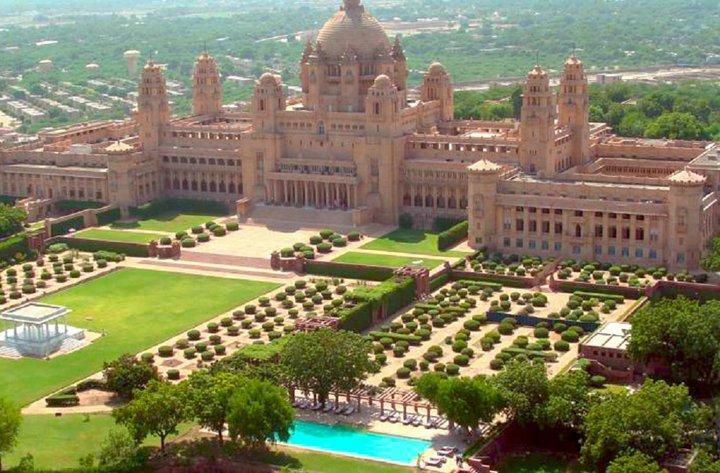 The Umaid Bhawan Palace is divided into 3 functional parts – the residence of the royal family, a luxury Hotel, and a Museum focusing on the 20th-century history of the Jodhpur Royal Family. 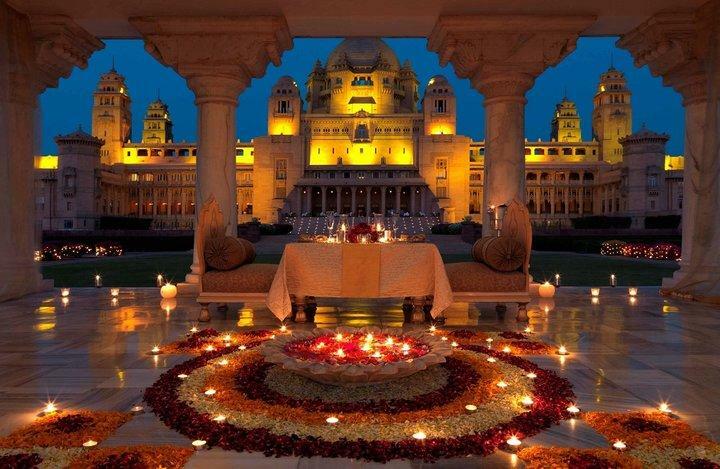 The hotel wing of the palace is run by the Taj Group of Hotels and is called the ‘Taj Umaid Bhawan Palace Jodhpur’. It offers 64 uber luxurious rooms and suites. Exhibits at the museum include a symbolic flag given by Queen Victoria, vintage cars of Maharajas and various family memorabilia. Recently, Umaid Bhawan Palace was awarded as the World’s best hotel at the Traveller’s Choice Award, which was organized by TripAdvisor. A part of the Umaid Bhawan palace uses the same palm court marble as used in the construction of the iconic Taj Mahal at Agra. This is also the last of royal palaces in India.